Also called Confederate jasmine, star jasmine (Trachelospermum jasminoides) is a vine that produces highly fragrant, white blossoms that attract bees. Native to China and Japan, it does very well in California and the southern U.S., where it provides excellent ground cover and climbing decoration. 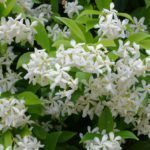 Keep reading to learn about growing star jasmine vine in your garden. Gardeners in warm climates (USDA Zones 8-10) can grow star jasmine as ground cover, where it will overwinter. This is ideal, as star jasmine can be slow to grow at first and may take some time to get established. Once mature, it will reach a height and spread of 3 to 6 feet. Prune any upward reaching shoots to maintain an even height. In addition to ground cover, star jasmine plants climb well and can be trained to grow on trellises, doorways, and posts to make for beautiful, fragrant decorations. In areas any cooler than Zone 8, you should plant your star jasmine in a pot that can be brought inside during the colder months, or treat it as an annual. 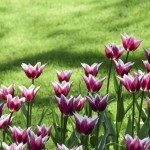 Once it gets going, it will bloom most in the spring, with more sporadic blooming throughout the summer. The blossoms are pure white, pinwheel shaped, and beautifully perfumed. Star jasmine care is very minimal. 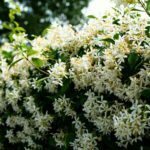 Star jasmine plants will grow in a variety of soils, and though they bloom best in full sun, they do well in partial shade and will even tolerate heavy shade. Space your star jasmine plants five feet apart if you’re using them as ground cover. 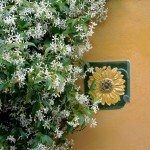 Star jasmine can be planted at any time, usually as cuttings propagated from another plant. It’s disease and pest hardy, though you may see trouble from Japanese beetles, scales, and sooty mold.